I can't get my eyes off this fabulous, fabulous bathroom! This is actually a bathroom in a London hotel, in case you are interested! I really love the mix of brick walls, wood planked walls with the modern bathroom fixtures and hardware. The juxtaposition of textured, warm and rustic walls with the smooth and shiny fixtures is both visually interesting and refreshing. Such an inspiring space! 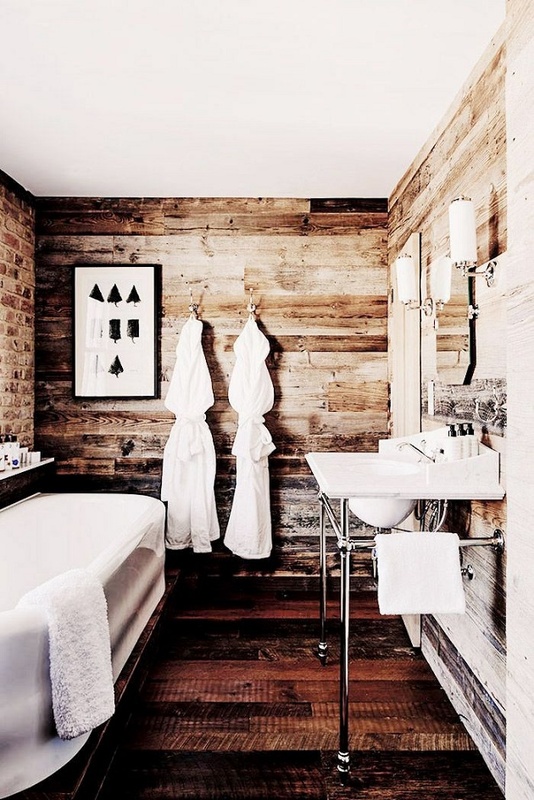 Are you drawn to this beautiful, well-balanced modern rustic bathroom as much as I do? Thoughts?